Physical properties of certain materials can be applied using ingenuity and creativity to create useful appliances. Magnetostriction, a physical property of ferromagnetic materials, produces a change in shape or dimension in the subject material when it is magnetized. This basic principle is integrated into a liquid level transmitter by extending a sensing wire along the interior length of a tube immersed in a process tank or other vessel containing the liquid to be measured. The transmitter pulses the sensing wire with an electrical current, creating an electromagnetic field. A magnetic float, travelling along the outside of the sensing tube, rises and falls as the liquid level in the tank changes. As the float moves along the length of the sensing tube, it creates a torsional stress in the sensing wire, starting at the position of the float, which matches the level of liquid in the tank. A sensing element converts the torsional stress in the wire to an electrical pulse. The transmitter measures the time differential between the initial pulse it sent down the sensor wire and the pulse resulting from the torsional stress and then calculates the position of the float and the liquid level. These devices are very accurate and operate on a standard 2-wire loop. There are numerous options and variants that allow configuration for each application. More information is included in the data sheet below. Your best source for current product and application information is a product specialist. Combining your process knowledge with their application expertise will produce the best outcomes. Magnetostrictive Liquid Level Transmitter for Process Measurement and Control from Alliance Technical Sales, Inc.
mounting plate, sensing tube, and float. The numerous level control technologies, methods, and instruments all have an application range or niche where they provide a feature set and performance advantageous to other measurement means. The particular set of attributes that can push one instrument over the top in the selection process is specific to each user and application. Magnetostrictive level transmitters provide a continuous signal indicating liquid level in a vessel. They should not be confused with what are called magnetic level gauges, an instrument that locally provides a visual indication of liquid level. Magnetostrictive level measurement employs a precise measuring of the transit time for an electric pulse travelling on a wire extending down an enclosed tube oriented vertically in the subject media. A magnetized float on the exterior of the tube moves with the liquid surface. The float’s magnetic field interacts with a magnetic field produced along the wire to generate a return signal to the transmitter head. Processing the time from emission to return provides a measure of distance to the liquid surface. 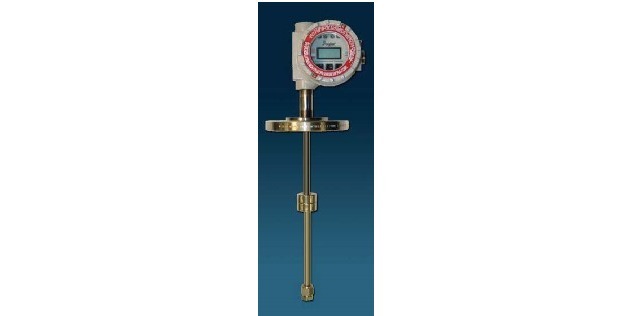 These level transmitters offer good accuracy and ease of installation and maintenance. They are best applied with relatively clean fluids. Media that will impede the free movement of the float along the sensing tube should be avoided. Magnetostrictive level instruments are often employed alongside, or integrated with, a magnetic level gauge. The magnetic gauge provides a local indication of tank level, while the magnetostrictive transmitter delivers a level signal to monitoring and control equipment. Share your level measurement requirements and challenges with a process measurement specialist, combining your own process knowledge and experience with their product application expertise to develop effective solutions. 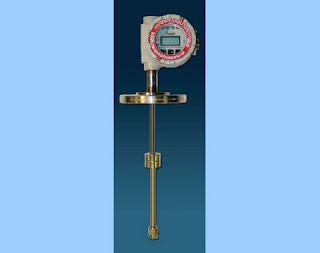 Magnetostrictive Level Transmitter for Industrial Process Measurement from Alliance Technical Sales, Inc.
A magnetic liquid level indicator provides a reliable and highly visible reading of its indirect level measurement in tanks and vessels. While useful for local visual indication of tank level, the instrument does not provide an electrical signal output that can be utilized for process control or other monitoring functions. 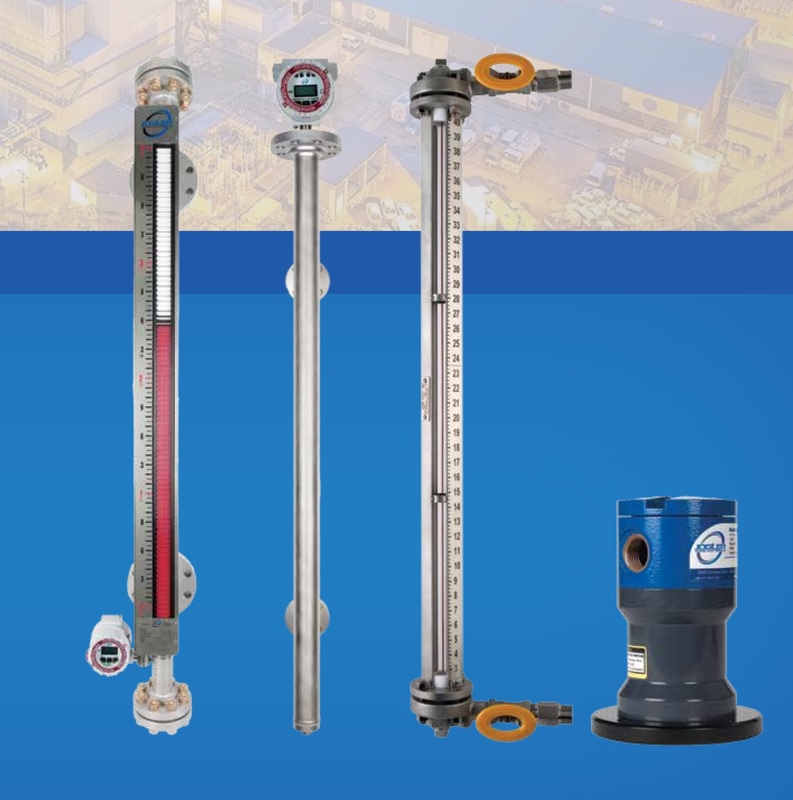 Several magnetic level gauge manufacturers offer combination units that incorporate another measurement technology to provide an analog signal corresponding to liquid level. What if your installation has an existing magnetic level indicator and you need an analog level signal? One manufacturer, Jogler, offers a magnetostrictive level measurement instrument that can be retrofitted to an existing magnetic level gauge, even those from other manufacturers. The low profile waveguide mounts slightly away from the existing magnetic level unit to isolate it from temperature and vibration. It is specifically designed for use with an existing magnetic level indicator and provides an analog output signal that is accurate, stable, and responsive. A magnetostrictive level measurement instrument employs a magnetic float that moves along a sensing wire as the tank level changes. Fixed interval current pulses are sent down the wire, with the resulting electromagnetic field being interrupted by the magnetized float. This interruption causes magnetostriction in the sensing wire, which is manifested as a torsional stress wave along the wire. A piezoceramic sensing element converts the torsional stress into an electrical signal and the transmitter produces an output signal based upon the time interval between the initial pulse and the return pulse produced as a function of the float position. There is more to be learned, so share your liquid level measurement requirements and challenges with instrumentation specialists. The combination of your process knowledge and their product application expertise will produce effective solutions. Magnetostrictive level transmitter added to magnetic level gauge from Alliance Technical Sales, Inc. Magnetic level gauges isolate of the process inside of a sealed piping column, thus eliminating the possibility of leaking seals and cloudy or broken site glass. Magnetic level gauges (gages) allow for easy cleaning access and a wide variety of mounting styles and process connections. They also provide improved visibility with highly visible flippers. 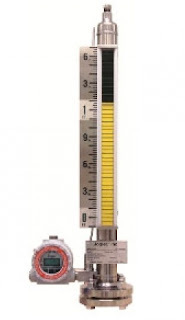 Magnetic level gauges are designed with a float in a sealed tube, embedded with permanent magnets. As process level changes, the float rises and falls, and the magnets in the float couple with an external indicator. The indicator is completely isolated from the process. The following video provides a brief overview of Jogler level products. Jogger is a Baton Rouge, Louisiana manufacturer of high quality magnetic level gauges, magnetostrictive transmitters, direct-reading level gauges with armored shield, sight flow indicators, specific gravity analyzers, point level switches and other accessories. Jogler products are custom designed to meet customer specifications and manufactured to applicable ASME B31.1 and B31.3 code requirements to ensure reliable operation and maintenance free design.